Sleeps to Christmas allows you to choose from a variety of lovingly drawn characters who hold signs that count down the nights, hours, minutes or seconds to Christmas. Beautiful animated snow falls around the character while Festive Favorites such as Jingle Bells and Dreaming of a White Christmas play in the background! 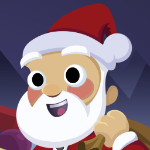 Sleeps to Christmas 2 is the all new sequel to Sleeps to Christmas. 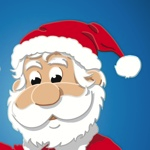 With animated characters and new high quality Christmas music it's a wonderful addition to any Christmas lover's iOS device. 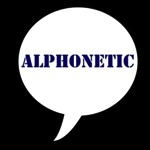 Alphonetic is a helper application for the NATO Phonetic alphabet, providing a list of all letters, a phrase builder and the ability to pronounce each letter down the phone.